Tony Green lives in the North Shore and is a long time consumer and producer in the arts. He has a blog (http://Tony_Green.typepad.com) and poetry books include No Place to Go and Londonettes and Underground Reading. He has an interest in asemic poetry; see http://thenewpostliterate.blogspot.com/ and vispo. Not to be missed! 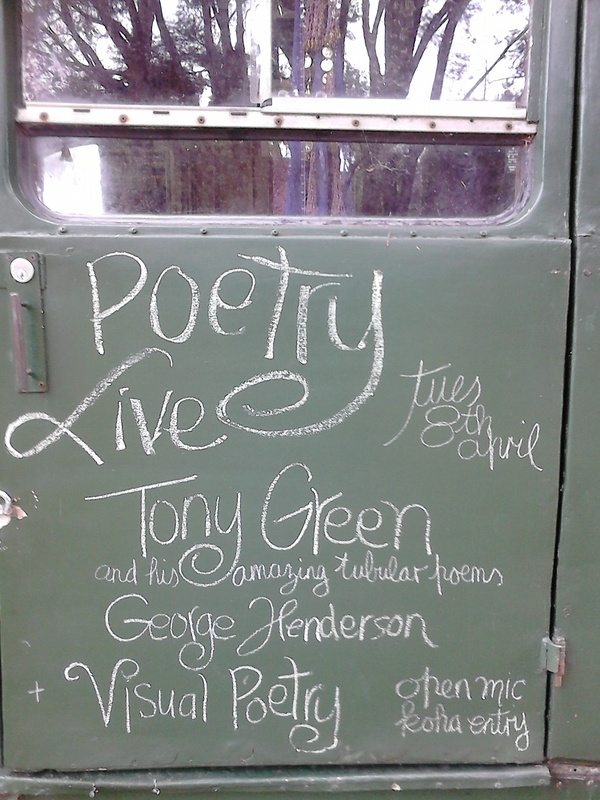 Tony Green and his astonishing tubular poems! available as a pay-as-you-please download from Bandcamp.